Custom tri-blend tees with your imprinted design! 12 color(s) to choose from! 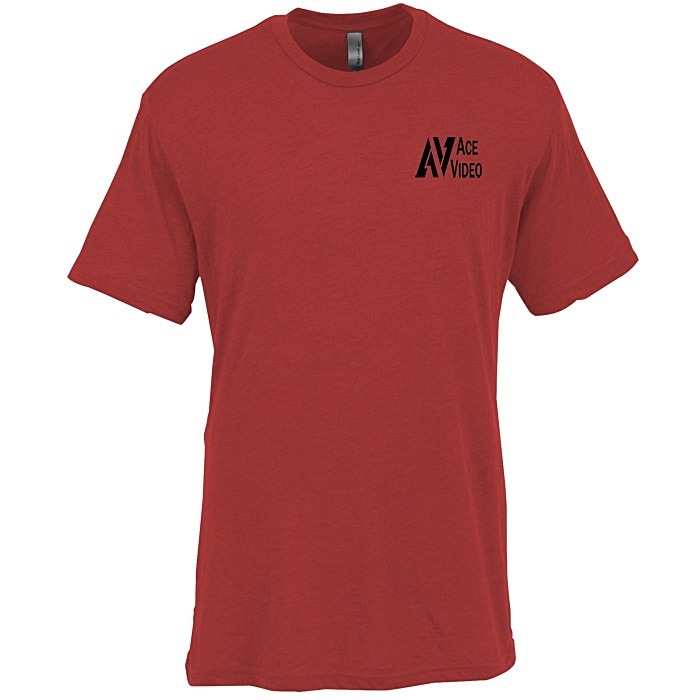 This short-sleeve Next Level® tee is made with 4.3-oz 50/25/25 polyester/cotton/rayon jersey fabric. Please see the other #similar item search 114711 items for additional styles and sizes. 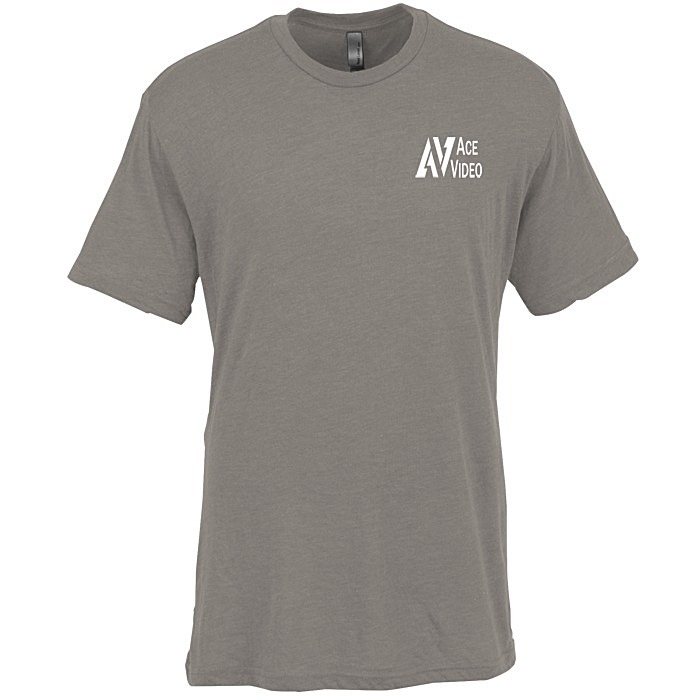 Your price includes a one-color imprint on the left chest. Set-up charge: add $40 for the first color; add $15 for each additional color/location. * Excludes art preparation time, applies only to orders of 72 items or fewer.